Nancy R., a rambunctious 87 year old woman from Oregon, received a visit from NorthStar Alarm sales representative in May 2012 and had a home security system installed in her home. She liked the idea of having extra peace of mind while she slept at night and thought a system would make her feel more comfortable while living alone. What she didn’t know, was that her system would end up saving her life. Back in May 2012, Nancy’s sales representative, John Campau, spent his morning at Nancy’s home, helping her select a system suited perfectly for her home and needs. 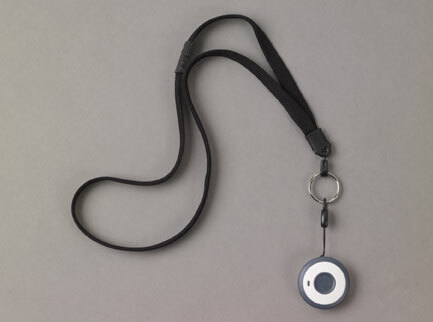 Knowing that Nancy lived alone and was in her elder years, John offered a medical pendant, a gadget Nancy now wears daily as a necklace that has an emergency button to contact the police in case of need. 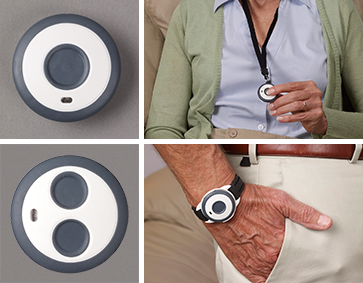 It wasn’t until November 2013, over a year and half since she had her system installed, that Nancy put her medical pendant to use. She was going about her regular routine in November when she fell down and broke her hip while in the bathroom. Nancy pushed the button on her pendant and the EMS arrived within minutes to help. Nancy’s medical pendant saved her life. Without it, she could have very well remained on the ground in her bathroom in pain since she was nowhere near a phone and couldn’t move to get help. Nancy wears her medical pendant day and night. She says she never goes without it, and claims that the only time she will take it off is when she showers; even then, she keeps her pendant within a hands reach on a shower bench (it can get wet). Nancy was adamant about sharing her story and helping people realize how scary it can be to have an emergency arise while you’re living alone. The medical pendant comes in a slick style that is lightweight, easy to wear, and even easier to use. One and two-button pendants are available. The only difference between the two is that the two-button pendant is preferred by some who have small children who could press the button accidentally. The single button pendant remains the most popular. Visit NorthStarHome.com/security and look under “products” on the lower left side of the screen.